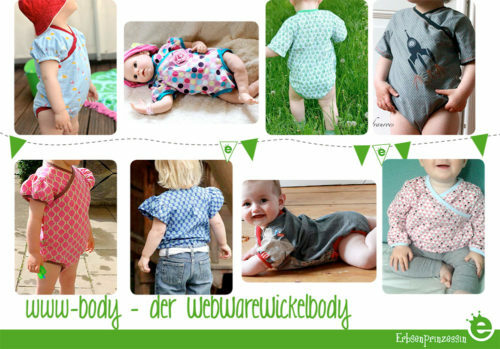 A classic: quick and easy to sew and wear! 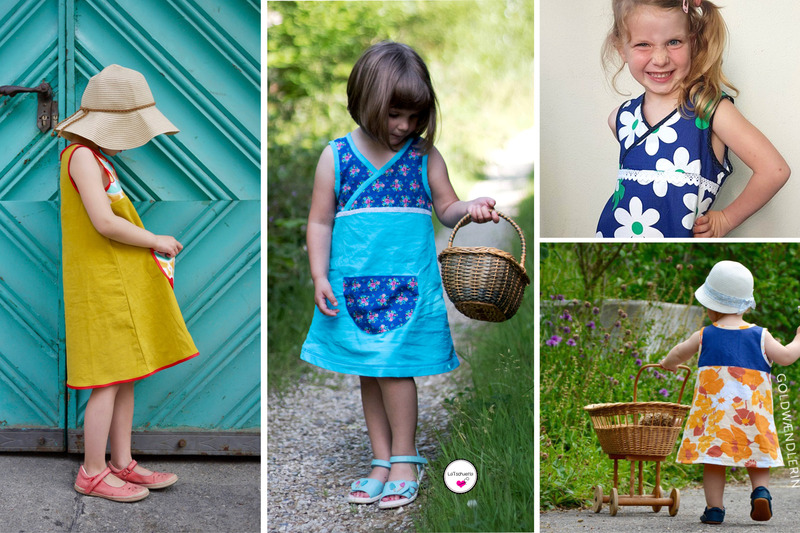 The Little Favorite dress is made from woven fabrics. 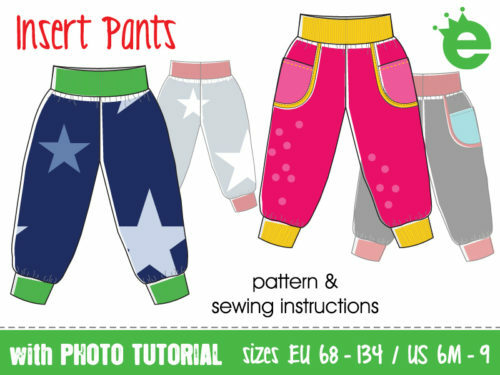 Great sewing pattern for beginners. The sleeveless dress has an overlapping front yoke, looking like V-neck. 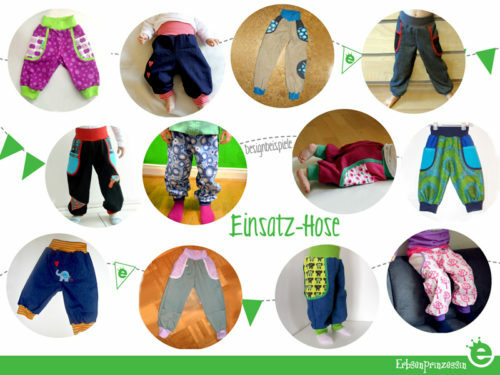 It doesn’t have any fasteners which makes it easy to sew and wear. The plain, simple A-line cut is also perfectly suitable for big prints. 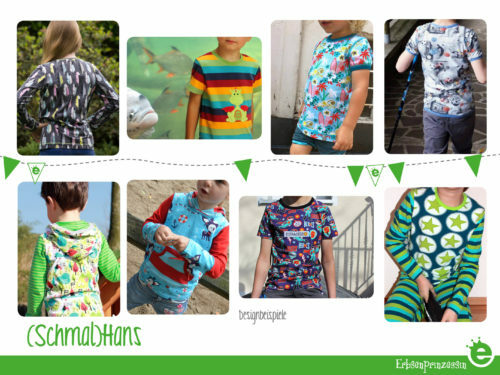 You can use up your leftover fabric scraps for yoke and pocket pieces. They look best when made from a nice, contrasting fabric. Neckline and armholes are finished with bias tape. The bindings look especially nice in a contrasting color. 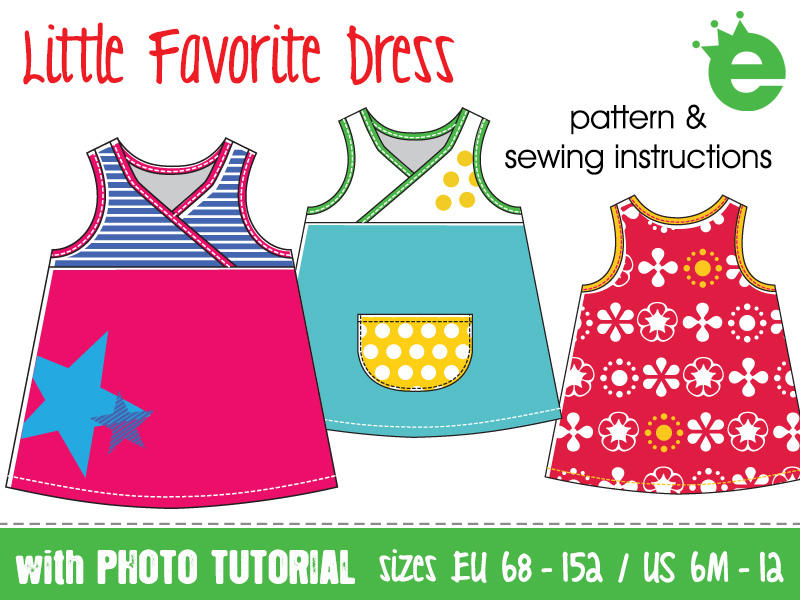 You can easily make your own variations of the simple little dress pattern: Change the look by using decorative ribbons, ruffles, pleats or extra seams. Whether for summer season, as a chic dress for special occasions, combined with an undershirt for spring or autumn or made from cozy winter fabrics – the Little Favorite Dress really is an all time favorite. Since 2011! My patterns don’t include the seam allowance, it needs to be added when cutting out the pieces. All measurements are in centimeters / meters and inches. 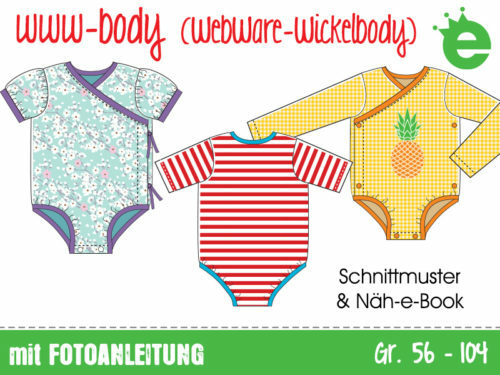 European sizes are based on children’s height. If you know your child’s height, just convert it from inches to centimeters and select the EU size according to the height. 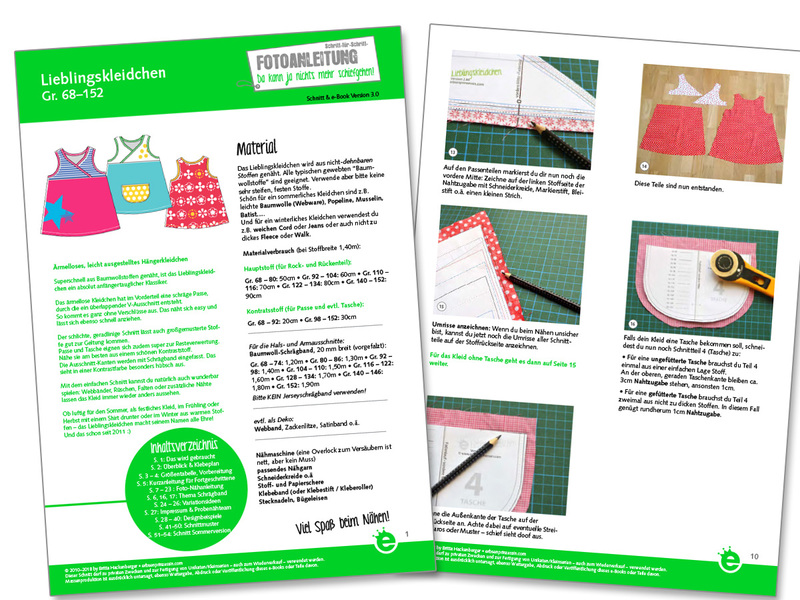 Please be aware that these are digital PDF-files you have to print yourself (“ebooks“), you will not receive a paper pattern via mail. 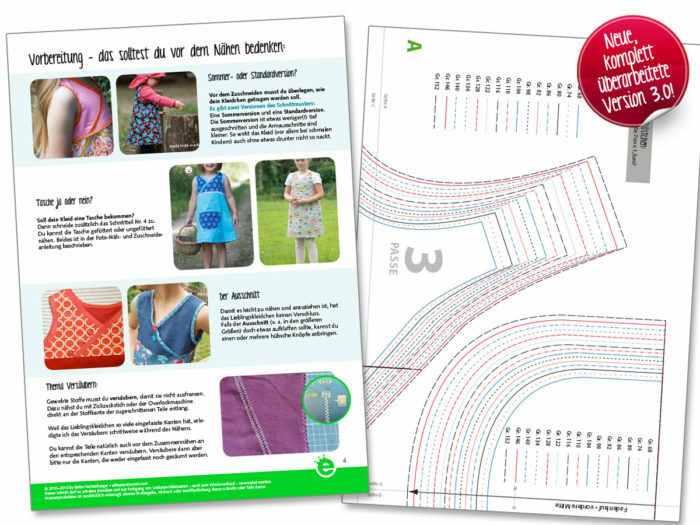 This pattern is intended for private use and to produce one-of-a-kind pieces or small series for a small business. 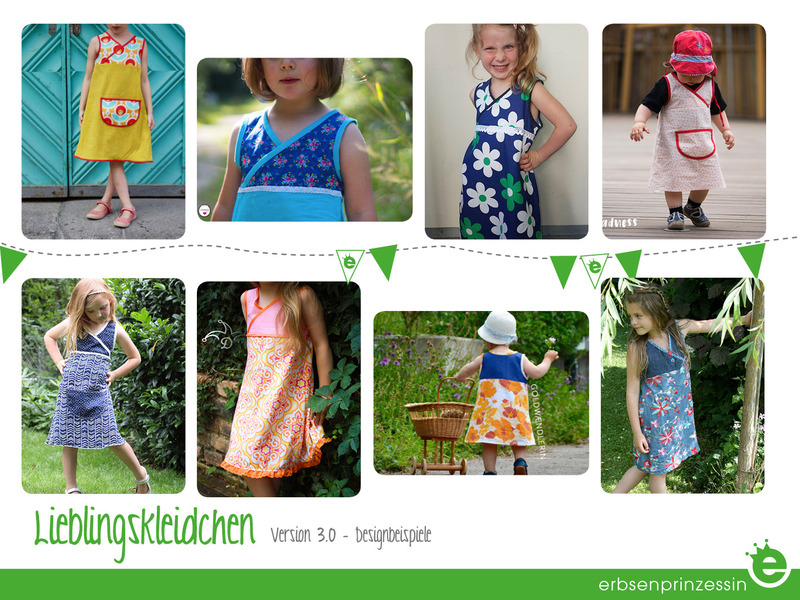 If you use the pattern for your business, please don’t forget to add the source “pattern by erbsenprinzessin.com“ to your promotional text. Thank you. 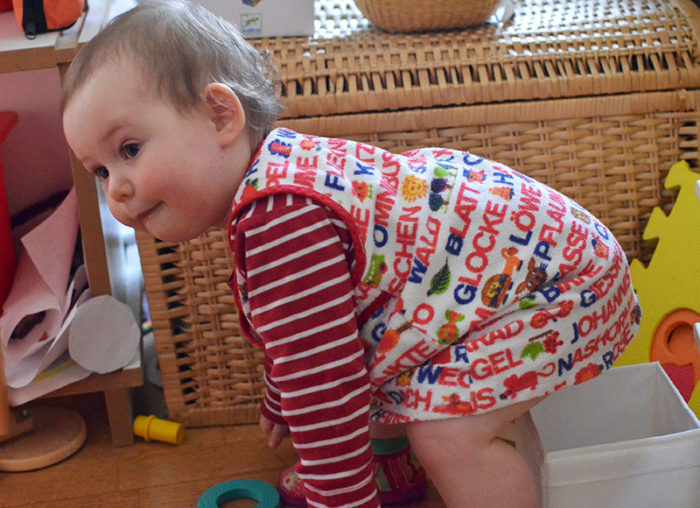 Mass production or industrial use of the little dress is not allowed under any circumstances. 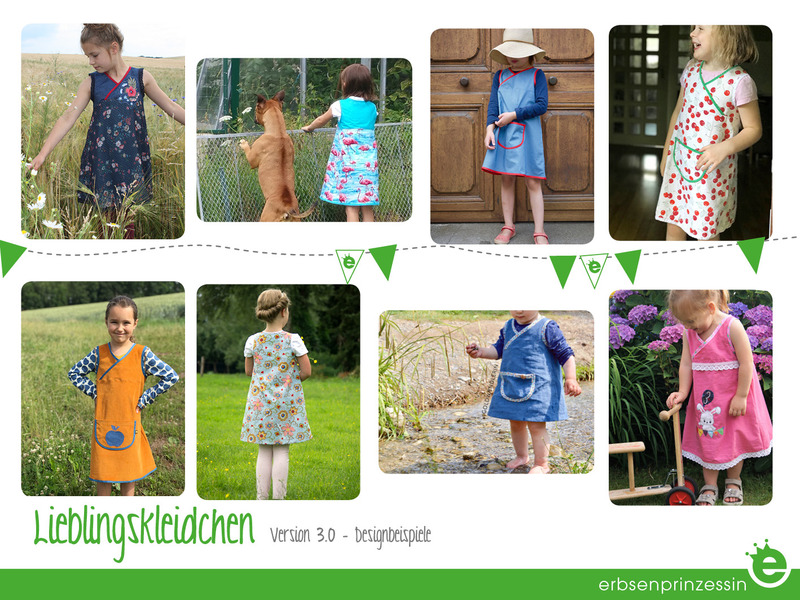 It is not allowed to sell ready to sew pieces of the dress (for example as a part of sewing kits). You are not allowed to share, print or publish this PDF or any parts of it. I can not be held responsible for any errors that patterns might contain, nor can I be held responsible for any injuries, losses, and other damages that may result from the use of the information in this pattern. 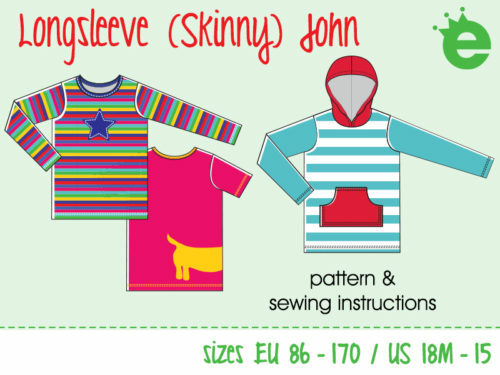 Please ensure yourself that products made with this pattern follow your country’s children’s clothes safety regulations, as these vary widely from country to country.